American Riviera Tours have been conducting Los Angeles sightseeing tours to provide best service, best professional guided overview of Los Angeles and surroundings. Based in Los Angeles and touring all over California, American Riviera Tours amongst most experienced coach tour operator companies. With a vast range of itineraries from LA to Santa Barbara, San Diego, San Francisco, San Jose, Las Vegas, American Riviera Tours has a fleet of comfortable coaches to make your journey enjoyable & safe, and each tour has well trained operators which will help you to learn about local sight seeing. 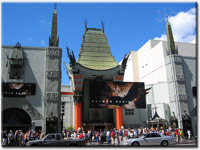 Travelers can choose from a variety of tailor made tours to ensure an unforgettable holiday in Los Angeles. American Riviera Tours is #1 among coach tour operator companies in Los Angeles area. If you have any questions, just drop us a quick note to info@latraveltours.com, visit www.latraveltours.com or call 1-800-761-1775, one of the operators will be glad to answer all of your questions. American Riviera Tours reviews. In Australia, call (03) 9005 5907. International +1-213-537-5770. We will be glad to help you with your trip planning, when you travel to Los Angeles.